Ready for an adventure? 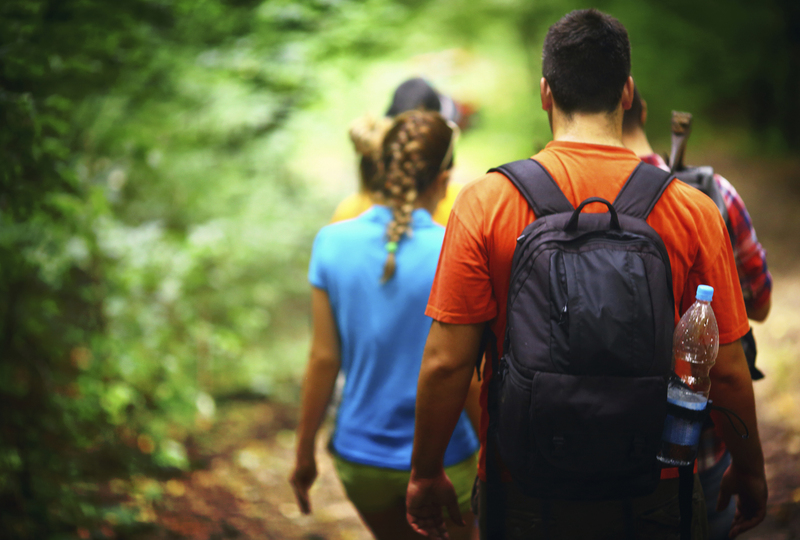 How about planning a family outdoor trip with your student next time you're on campus? Into camping, rock climbing, backpacking, or simply enjoying the great outdoors? U-M's Outdoor Adventures program provides year-round outdoor educational and recreational opportunities for students and their families, regardless of prior experience. "We offer classes in wilderness medicine and outdoor skills such as backcountry cooking and building outdoor shelters. For those who just want to get outside, we offer a variety of trips during weekends and breaks," explains John Swerdlow, program director. "Past destinations have included dogsledding in the Upper Peninsula, canoeing and kayaking the Huron River, and backpacking the Grand Canyon." "Our trips offer unique experiences to immerse yourself into the natural world," Swerdlow says. Unless otherwise indicated, trips are appropriate for both beginners and experienced campers. Trip leaders and staff take care of all planning, logistics, food, and contractor fees, so the only reason participants may need cash is for food during travel. Necessary skills will be taught before and during the trip. For most trips, a pre-event meeting is scheduled. A variety of trips are planned for the coming school year. For a complete list, visit Outdoor Adventures. Outdoor Adventures also coordinates the First Ascent Program, where incoming students get a jump start on their college experience. "First Ascent Program is designed to provide incoming freshmen with an opportunity to travel and interact with future classmates while exploring a variety of natural areas," Swerdlow says. "Our trips are an opportunity to begin to develop a strong support group among peers at the university and can serve as a great addition to freshmen orientation." Blue Bikes for only $12 for the first day and $5 per day after that, $17 for the weekend or $85 for the whole semester. Pick-up and drop-off Blue Bikes at the Outdoor Adventures Rental Center. Quality and affordable outdoor and recreational equipment. From tents, backpacks, and stoves to volleyball sets and tug-of-war ropes. Outdoor Adventures, part of U-M’s Department of Recreational Sports within Student Life, is located at 336 Hill Street, Ann Arbor, and can be reached at (734) 764.3967. For more information, please contact John Swerdlow at swerdlow@umich.edu. To help Student Life continue making a difference in students' lives, please consider making a gift.